Chandra Wijaya, a.k.a. 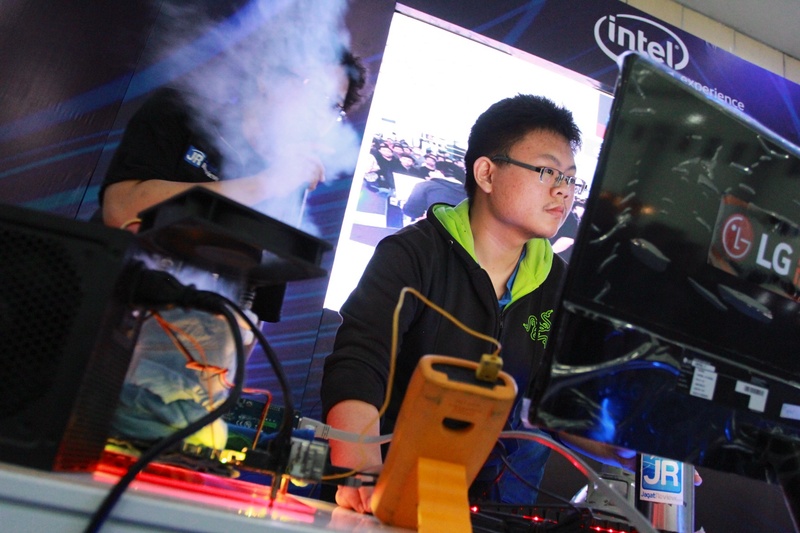 BlueFiber has been a HWBOT member and active overclocker since August 2015 which makes him one of the less experienced contenders for the Overclocking World Championship 2017 crown. 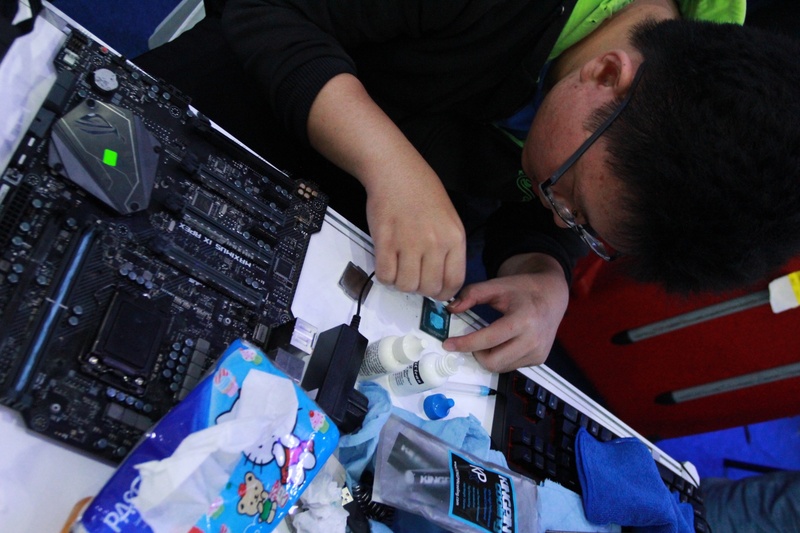 Like many overclockers he first encountered it when trying to get more from his PC without splashing out extra cash. 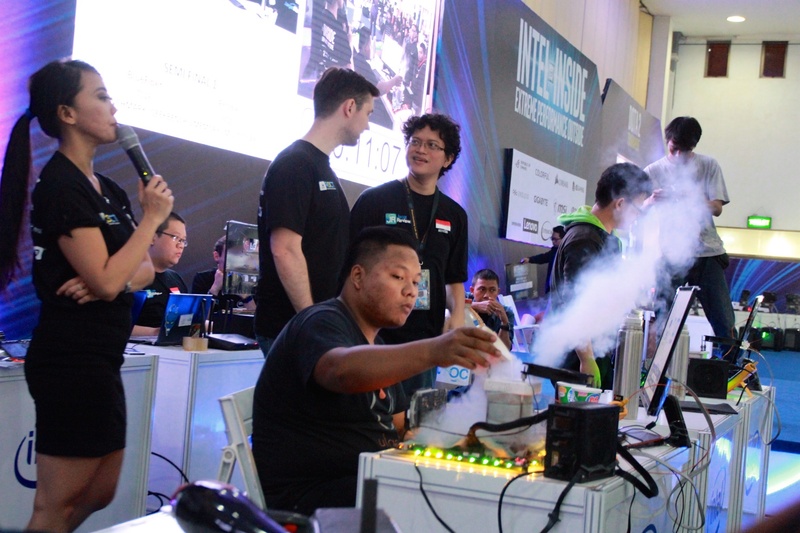 After encountering HWBOT and the Amateur Overclocking Tournament (AOCT), a massive OC contest in Indonesia that is strictly amateur-only, he was hooked. 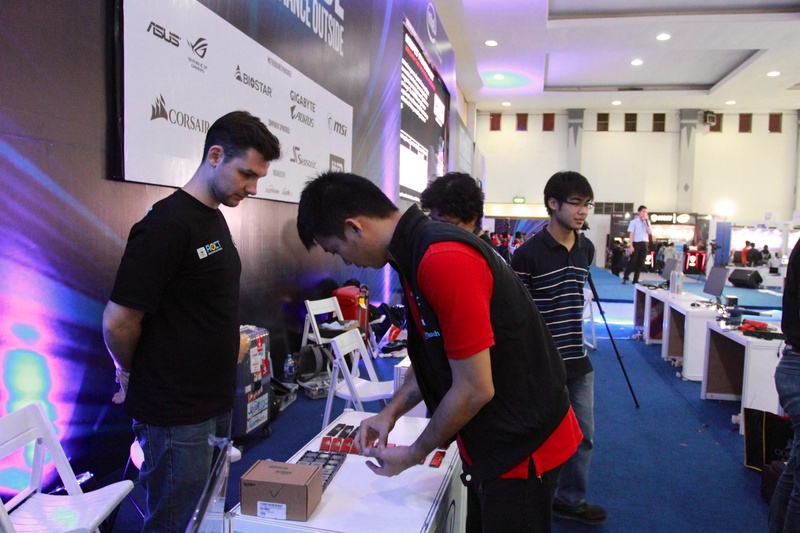 Having encountered competitive overclocking from the offset, he remains addicted to the live OC contest format, a trait that you will find in the heart of most Indonesian overclockers. It was earlier this year during the GIGABYTE March Madness contest that Chandra really started to hone his OC skills, hooking up with his buddy IvanCupa to improve his extreme OC benching techniques. 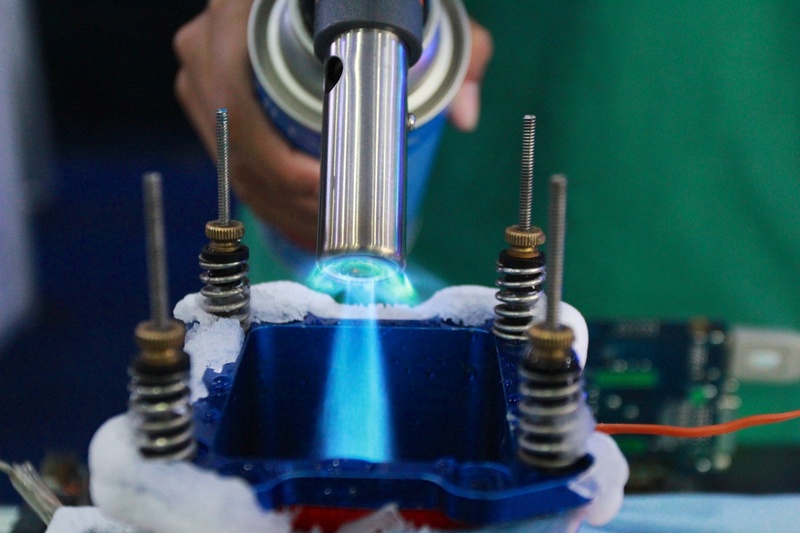 Alva ‘Lucky_n00b’ Jonathan gave Chandra a seat in his lab and access to the tools of the trade needed to really compete, a pivotal experience that has allowed him to raise his game to become a true Extreme League overclocker. Having competed in various OC-ESPORTS contests including the GIGABYTE Master Your Ryzen 2017 (Ryzen 5) contest, which he won, he decided to hook up with IvanCupa to compete in this year’s AOCT contest, a contest that also offered a route to the OCWC 2017 Final. The rest is history. Arriving at the Final in Berlin with only a few months of experience using and handling LN2, Chandra is also one of the youngest competitors. He is currently studying Computer Engineering, enrolled in his 5th semester at University. Before we get to the OCWC Yoyakarta 2017 Qualifier contest, let’s just point out that BlueFiber and team partner IvanCupa actually won the AOCT 2017 contest first before going on to the extreme OCWC contest. 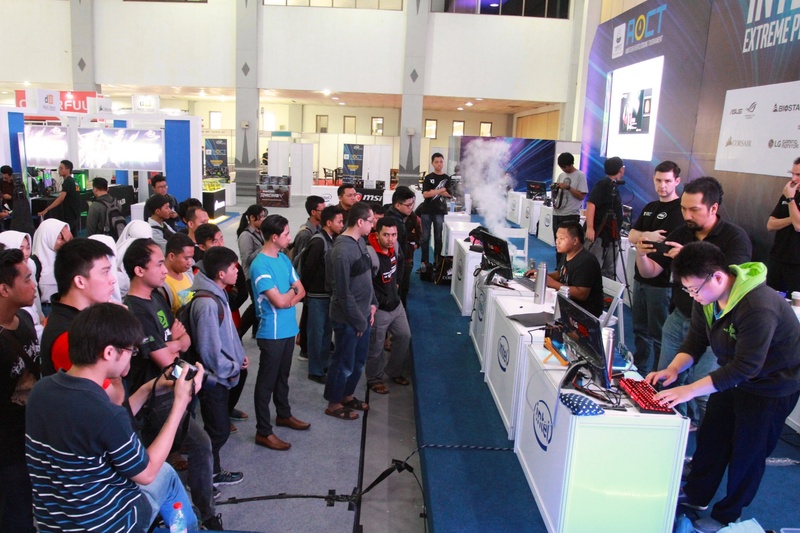 AOCT is a contest that sets out to determine the best amateur overclocker in Indonesia. The contest has a long history and is actually one of the earliest examples of a technology website and community actively recruiting overclockers to help grow and nurture the hobby. 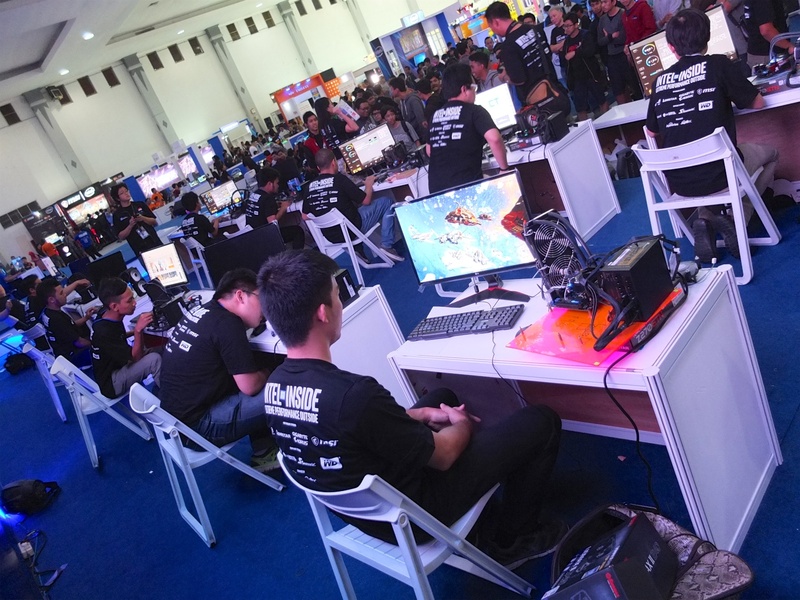 The first day of the contest is the Motherboard Session where pairs of overclockers compete on motherboards from ASUS, GIGABYTE, MSI and BIOSTAR. It’s a test of the team’s ability to deal with different hardware and different BIOSes. At the end of the day LucasB95 and Royal_Flush finished top with a total points haul of 134 points with IvanCupa and BlueFiber finishing in second with 108 points. The pair then went on to win Semi-Final and Grand Final matches, beating a team pairing of LucasB95 and Royal_Flush in the Final. 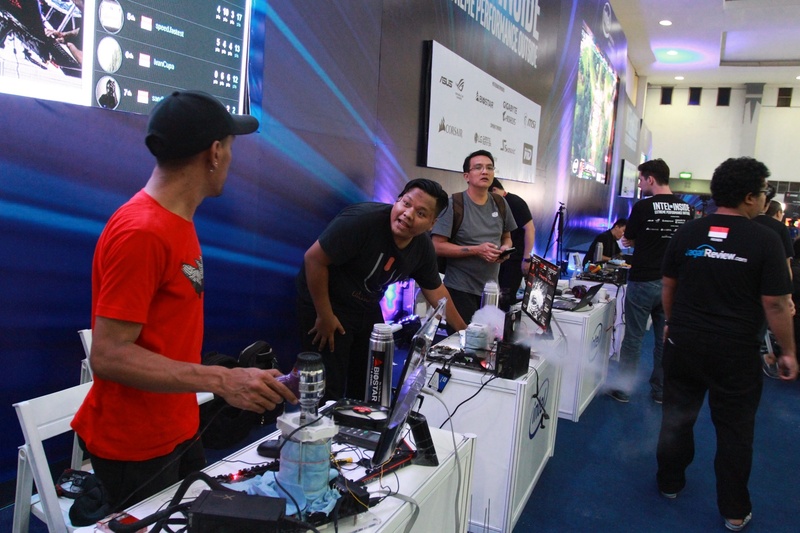 The final day of the Yogyakarta 2017 leg of the HWBOT World Tour, as as with every stop of the tour, ended a real bang and a fine display of extreme overclocking. 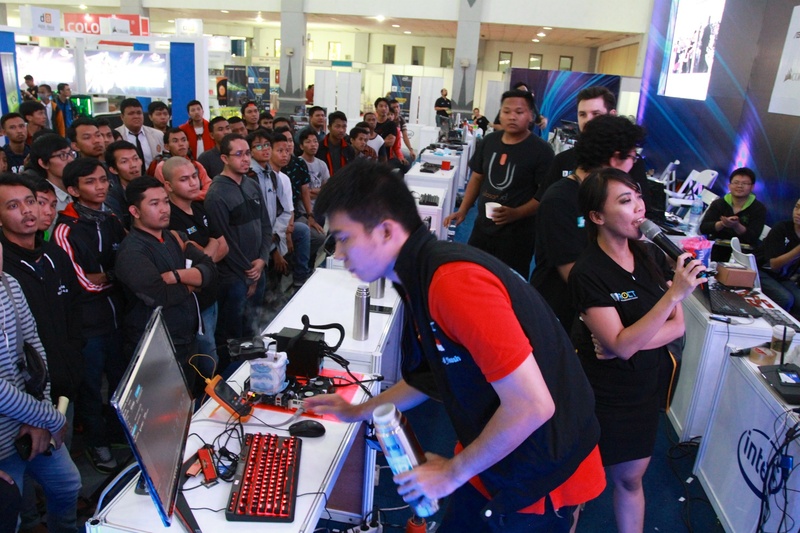 The previous day ended with the following four Indonesian overclockers earning their right to compete in the Finals Phase; IvanCupa, rhodie, BlueFiber and rOyal_flush. BlueFiber was first out of the traps, making an initial score of 6,578 points. Rhodie was quick to reply however making a score of 6,534 points, just behind his competitor. BlueFiber was quick to assert his authority however, quickly jumping ahead to a score of 6,782 points which he built upon to then complete another benchmark run and score 7,018 points. Rhodie was struggling to get past the 6.7K mark however while BlueFiber extended his lead again with a score of 7,044 marks. BlueFiber won the match and would compete in the Final. The Grand Final kicked off with two overclockers who clearly know each other very well, being members of the Shaburi team that won the AOCT 2017 (Amateur Overclocking Tournament) just days earlier. According to Jagat OC, the contest was described as a civil war, pitting brother against brother in a bid for OC supremacy. 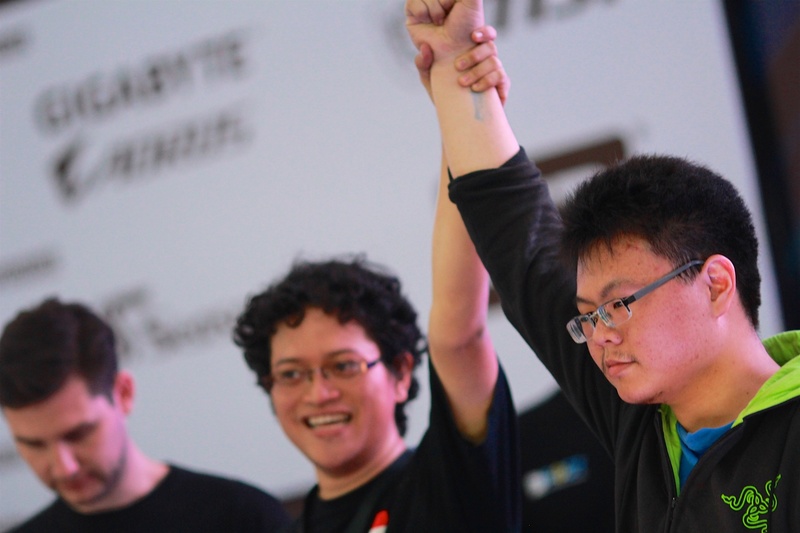 Both overclockers had enjoyed a great week, moving from amateur status to being two of the hottest extreme overclockers in Indonesia. The benchmark drawn was the HWBOT x265 benchmark and its 1080p preset. BlueFiber was first to draw blood, making a score of 33.28 fps, some way ahead of his rival who’s first score was a baseline 26.08 fps. Things soon started to heat up however with BlueFiber laying down an impressive score of 40.16 fps which meant that IvanCupa was now playing catch up. Making scores of 37.77 fps, 37.90 fps, IvanCupa eventually topped out at 39.26 fps. By this time BlueFiber had managed to push further on, making a final score of 40.57 fps. 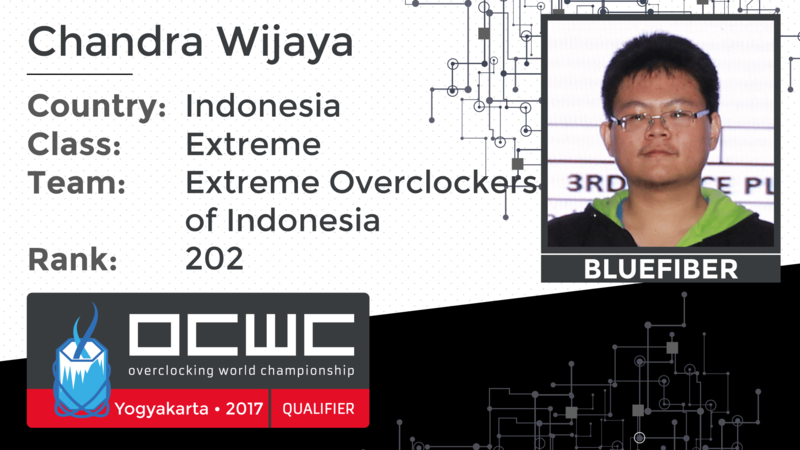 BlueFiber is declared OCWC Yogyakarta 2017 winner! You can read the full contest roundup here. When you make your prediction about which overclocker will win the contest, you may well want to consider BlueFiber. His lack of experience makes him an outside bet, but with this much momentum, he is clearly capable of anything. 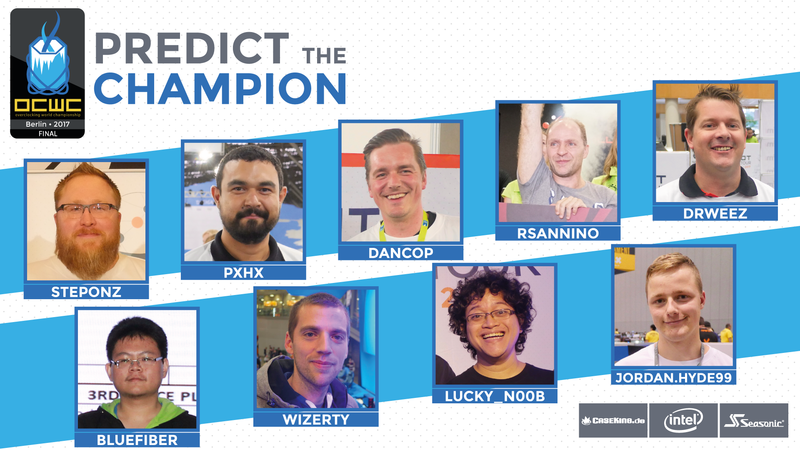 Learn more about the Predict the Champion contest here.